"Breakfast was good, the staff was extremely friendly." Have a question for Cuarto Hotel? "I loved the place, I will definitely stay here again next time I go to Cebu"
"As expected, I was impressed and satisfied." "All staffs are well trained and really accomodating." 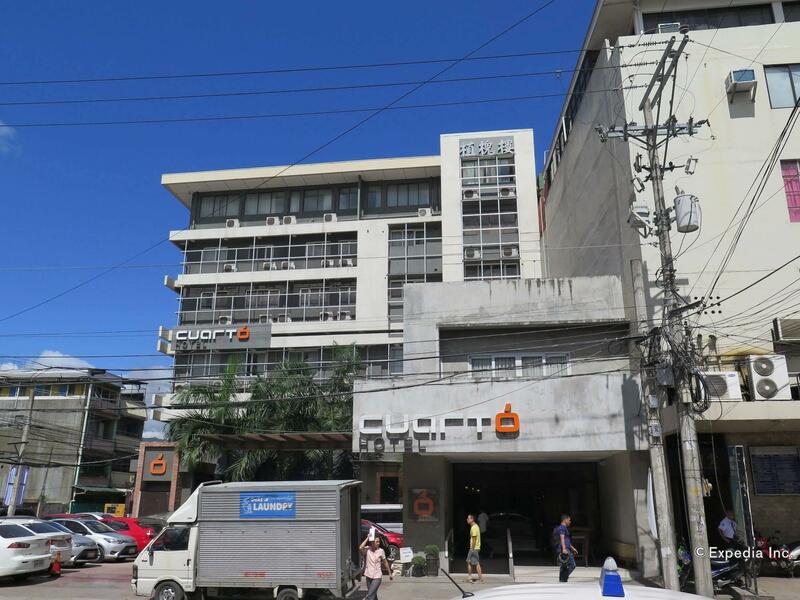 "The rooms are chic and nicely designed with comfy beds and g..."
Offering quality accommodations in the religious, business, and shopping district of Cebu, Cuarto Hotel is a popular pick for both business and leisure travelers. Only 20km away, this 2.5-star hotel can be easily accessed from the airport. 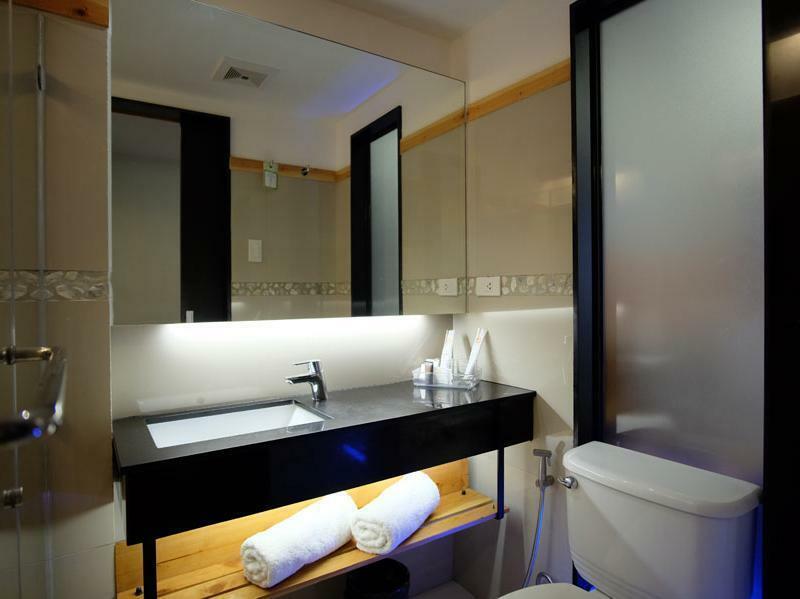 This modern hotel is in the vicinity of popular city attractions such as Rizal Memorial Library and Museum, Chong Hua Hospital, and Fuente Osmena Fountain. Take advantage of a wealth of unrivaled services and amenities at this Cebu hotel. To name a few of the hotel's facilities, there’s an elevator and a quaint café/restaurant. Wireless Internet access is also available in the hotel. The ambiance of Cuarto Hotel is reflected in every guestroom. An LED television with cable, hair dryer, and desk are just some of the facilities at your disposal. The hotel offers fantastic services, including 24-hour room service, airport transfers, and massages to help you unwind after an action-packed day in the city. Cuarto Hotel is a smart choice for travelers to Cebu, offering a relaxed and hassle-free stay every time. "The room is clean and comfort." The hotel is very nice, and the staff is friendly and helpful. Everything I tasted from the restaurant was good, and reasonably priced. The only negative thing I experienced was that the WiFi wasn’t very fast, and was down entirely for one of the days I stayed. Overall, Cuarto is a great hotel. I would definitely recommend. Very fine hotel with an excellent staff & exceptional breakfast. One of the nicest properties in its price range I’ve encountered in the Philippines. Area can be a bit ‘sketchy’ at night but otherwise everything is top-notch! This is a great value hotel, and if you’re going to the Sinulog festival, this is in a fantastic location, right next to Fuente Circle. The rooms are basic but clean (we did see one cockroach though). Note that no hair dryer is provided in the room. The highlight is the staff, which is fantastic. Always helpful, smiling and efficient. The other highlight is the food. They have a bakery on site! They create amazing breads, including pandesal, and you can eat as much as you want at the breakfast buffet. The food in the restaurant is surprisingly good. All in all, highly recommended. I stayed at Cuarto twice in my travels of the Philippines and each time I was glad I had booked there. 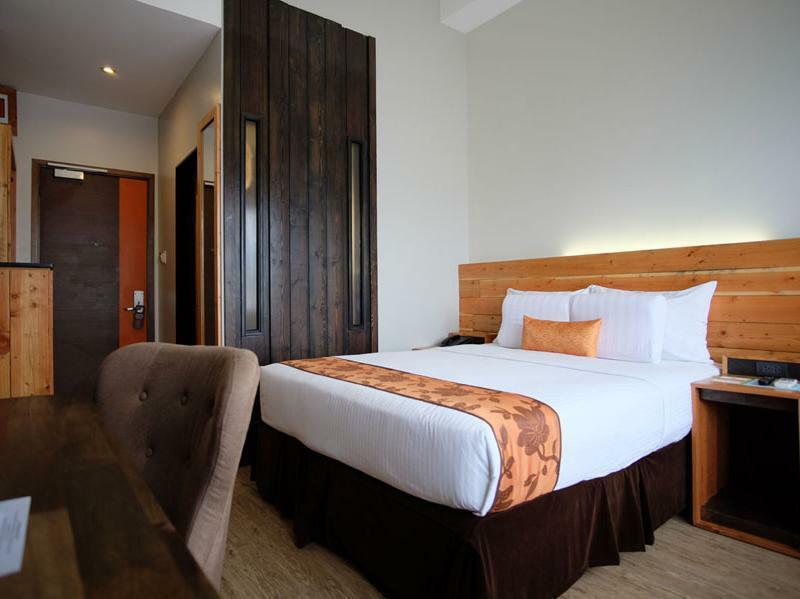 The rooms are chic and nicely designed with comfy beds and good facilities. The staff here are all lovely and made my stay a pleasure, nothing is too much trouble and it was great to arrive at 5AM after 22 hours of flights to be so warmly welcomed. I would thoroughly recommend Cuarto as a base to anyone visiting Cebu! The food was great, cozy restaurant and staff were wonderful and welcoming. Hotel was clean. Small rooms without closets. Great location in the center of Cebu City and close to Cybergate center where there are tons of varieties of food. Upon arrival a counter girl said that our room was updated for free, which is not true, it was exactly what I saw on line at booking time. It's a trick to keep that price little up and make you more special. Wi-fi never work, like one reviewer said: works at checkout only and is right, it start working at the time of getting out. Something wrong with TV, hard to turn on, need to ask for help every time you shut it down. But a staff and service is great, specially a guy who controls all their crew. The menu food is good. The breakfast could be better; come on! for the cost of place, give a people a bacon (everybody loves that), more choices of fruit and veggie, and also a choices of life cooking eggs and omelets - " Americano ". Thanks. We stayed here for a couple of nights as our place needed to have the water pump repaired. It turned out to be a nice little get-away. PROS: cozy dining experience; not a lot of choices for food at the hotel, but it's hard to choose because everything is of quality; in-house baked bread is a must try; nice room set-up (despite the size), new black rubber slipper instead of the usual hotel slippers; coffee (both the 3-in-one packet in the room and at the lobby) is good; close to everywhere (salon, mall, restaurants, pharmacies, hospitals, atms, fuente circle, etc. ); warm, friendly and very capable staff; well-guarded parking space (a gem in this area), good wifi CONS: rooms a little smaller than I would like (18 sq m.) Would definitely stay here again! On the higher price end, this was a very convenient place to the Chung Hua Fuente hospital. It was comfortable and had a nice breakfast buffet included in the mornings. It was little things like two types of pillows, soft linens, a fridge and deluxe bathroom that made it worth the money to us. We had the upgraded room if that makes a difference. The restaurant is great although there were plenty of other mall restaurants right across the street in the Robinsons. I’ve stayed at Cuarto before. Nothing else in the area compares. I booked a night just to use the room for the day and leave at midnight. Well worth it. Comfy bed. Awesome shower. Upgraded me to business room for the second time now. Staff is great. Area is great. Very quiet, but close to night life. Very safe. Highly recommend. Staff were kind & hospitable. The guard at the entrance is always courteous with a smile. The room is modern, clean and comfortable . The food was delicious. The hotel location is convenient and accessible anywhere in the city. I live and travel in Asia. This wasn't the best bed I found. Even better than my mattress at my permanent apartment in Korea. Everything was nice and said new. Staff was overly friendly and helpful. Location was perfect for getting to mango square area but far enough to avoid the noice. Price was great for what you get. Will stay here again! Clean hotel, good food, pastries taste great, good location for an annual check up. Chong hua hospital fuente and Robinsons cyber gate is just 2 min. walk. Great location. One of the best place to stay in fuente area. Staff is great. This is my fave hotel in Cebu City. Though the rooms are small, the bed is comfortable even for working, and the windows are big. I like the feel of their resto-cafe and breakfasts are a homey experience with their friendly staff. The hotel is nice. It has a nice café and the room was good, with large bathroom. It was well located close to Fuente Osmena and many shops and restaurants. The worst was wifi that didn't always work so well, particularly in the room. Nice design from outside in although the front desk is curiously set at the back of the hotel. Fast check in and check out. Clean rooms, comfortable bed, fast internet, although the interiors feel a bit spare, just a table and chair, a LCD TV and an open cabinet with a sfae deposit box. Personable staff. Hotel is relatively new so that speaks a lot about the comfort and convenience it offers. Very nice for solo traveler. The wall is thin. Nearby dogs scream every day on 5 a.m. it was so much noisy. And the stuff talk in passage, sometime sing song, it was noisy, I hate it. The door man was old person and really kind and always smile. I like him very much. And morning time server who was old man was very attentive nice stuff. There are bad shower. Nothing tissue in the room. Next time if I will go to Cebu, I'm going to stay here again. It's a nice and cozy hotel. Buffet breakfast is not that big but they do change the menu everyday and so one will not get bored of eating the same thing everyday. 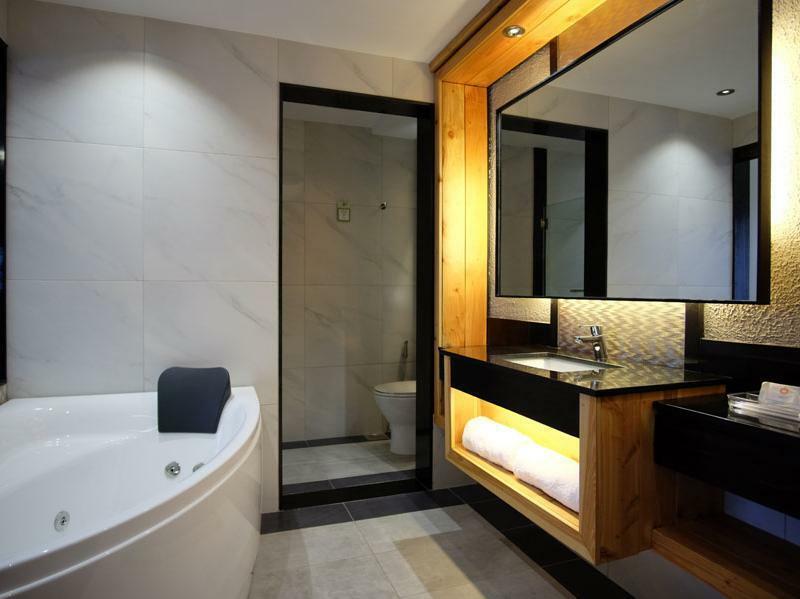 Compared to a regular room, my room had a newer or modern looking bathroom. Not sure if they upgraded my room or whether this is because I booked via Agoda. Their toilet has bidet spray which is the main reason I booked this hotel. Staff service was excellent. They were very accommodating for special requests such as early or late check in/out, housekeeping, etc. The only negative thing I can say is the not-so-strong water pressure in the bathroom which can be irritating when brushing your teeth or taking a shower. I chose Cuarto because it is near Chung Hwa Hospital. First time here and had a good stay. The room was of good size and had a comfortable bed. Staff were friendly. However, the breakfast spread was limited and staff could be more attentive. Overall, a well run and decent property.